Winter is here! 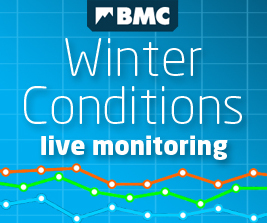 Don’t forget to watch our Winter Skills Series on BMC TV and brush up on all the skills you’ll need to have fun in the cold stuff. And if you’re thinking of #AlpineAdventures, get ready with a BMC Alpine Skills Lecture this year and find out where your nearest is taking place. It’s coming up to festival season again, and the BMC is proud to once again present the 2018 Sheffield Adventure Film Festival (ShAFF). All our members can get 15% off tickets for all events at ShAFF this year using the code: BMCSHAFF1315. From BMC news and offers, to updates on access and conservation, we would like to only send you the information you want to receive. 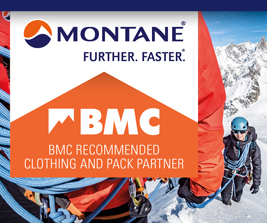 Use the button above to opt in or out of BMC communications and you’ll be entered into a prize-draw for the chance to win a rucksack from our partner, Montane. Wishing all our members safe and amazing adventures! It’s all happening at Tremadog this year, Tremfest is back and the really big news is that after nearly 40 years of serving teas and chip butties to climbers at his Bwlch y Moch café, well known Welsh mountaineer Eric Jones has finally decided to take a well-earned retirement. But fear not, as the new owners Gareth Streatfield and his partner Jo, have exciting plans to continue to welcome climbers to Tremadog. Big screens and big discounts. All BMC members can get 15% off tickets for all events at ShAFF this year. Taking place at the Showroom Cinema on 9-11 March, the 2018 Sheffield Adventure Film Festival is brought to you by the BMC. The first in a new mini-series. A bit of Scottish winter climbing history, plus a range of classic routes from Grade II to V, complete with big stunning photos and brief descriptions. You're welcome. 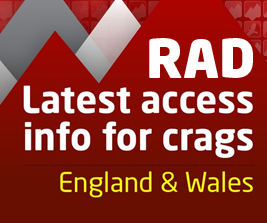 The UK's zaniest climbing competition is here again. Tune in on Saturday at 7pm to see the final frenzy of the spectacular BIFF. All proceeds go to Climbers Against Cancer. It’s a trail described as “one of the jewels in the crown of UK mountain biking”, but the campaign to repair it is being backed by horse riders, runners, ramblers – and the BMC’s Mend Our Mountains: Make One Million campaign. We speak to mountain biker Chris Maloney about why it's so important.